Home/Knowledge Base/Web Hosting/How to move files to another folder using File Manager? How to move files to another folder using File Manager? Aside from using FTP clients in transferring or moving file/s from one directory to another, you can use the File Manager for that. Please follow the steps below on how to move files to another folder using File Manager. Step 1. 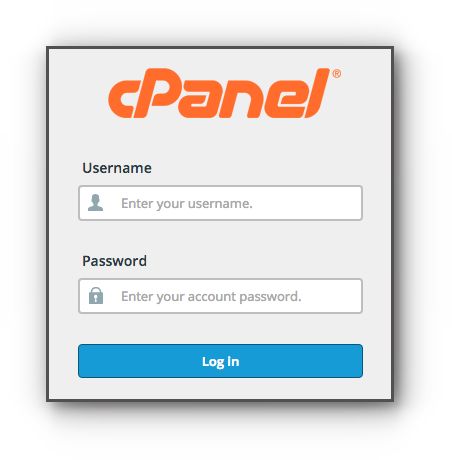 Log in to your cPanel. Step 2. Click File Manager under Files panel. Step 3. Click the name of the folder where the files are located. Step 4. Select the file/s you want to move. Step 5. Located on the top menu is Move. Click on it. Step 6. 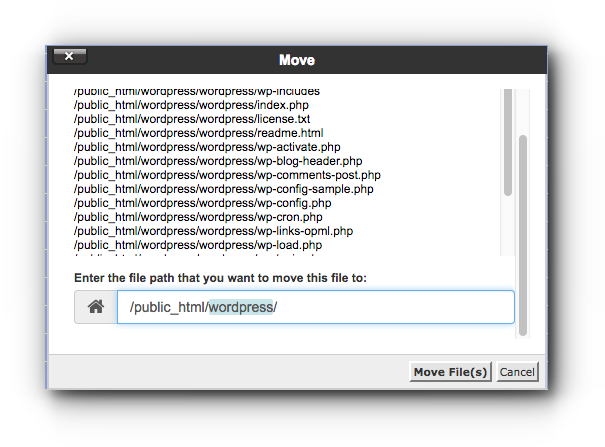 Enter the directory where you want to move the file/s and click on Move File(s) button.